BHEL Recruitment 2017 - Latest job notification for 310 Technician Apprentice Vacancies (Diploma Holders) - BHEL, EDN, Bengaluru in Chennai. Applications are invited by Bharat Heavy Electricals on or before 31 Aug 2017 for 310 vacancies. Candidates who have successfully passed their Diploma in the Branch/Discipline mentioned above in the years 2015/2016/2017 from recognized institution by the Government shall be eligible. Candidates should have passed qualification examination after 01.01.2015. Preference will be given to candidates having knowledge of Kannada. - 10 years relaxation will be given for ‘Person with Disability’ candidates. “Person with disability” means a person suffering from not less than forty per cent of any disability (Low Vision/ Loco motor disability / Hearing Impairment) as certified by a medical authority as per ‘The Persons with Disabilities (Equal Opportunities, Protection of Rights and Full Participation) Act, 1995. Persons with not less than 40% of the relevant disability shall alone be eligible. - An additional 05 years relaxation in age shall be given to wards of BHEL Employees. Candidates belonging to SC/ST/OBC/ Person with Disability category should bring copy of the certificate issued by the Competent Authority to that effect. OBC candidates** are required to submit Other Backward Class Certificate ('Non-Creamy Layer') (Certificate in the format as applicable for appointment to posts under Government of India, is to be produced). OBC candidates are also required to furnish a self-undertaking that they belong to OBC (Non Creamy Layer). (Format enclosed). - Class X / SSLC Certificate for Proof of Date of Birth. - Caste Certificate (SC/ST/OBC*) issued by Competent Authority (If applicable) *OBC Format enclosed. - Self-undertaking by the OBC candidate belonging to non-creamy layer. Format Enclosed. 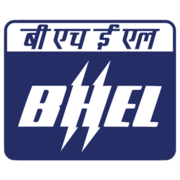 BHEL Recruitment 2019 - Apply Online for 145 Engineer Trainee & Executive Trainee Posts in BHEL, Across India. Online Applications are invited by Bharat Heavy Electricals Limited from 16 Apr 2019 to 06 May 2019 for 145 vacancies.